Mr. Ramsey is a fourth-year Medical Student and Dr. Geschwind is an Associate Professor of Radiology, Surgery, and Oncology, and the Director of Interventional Radiology in The Russell H. Morgan Department of Radiology, The Johns Hopkins University School of Medicine, Baltimore, MD. Hepatocellular carcinoma (HCC) ranks among the most common malignancies worldwide, and the prognosis for patients with HCC is typically poor. The incidence of HCC has risen dramatically in the United States in recent years, with a concomitant rise in the incidence of hepatitis C. 1 There were an estimated 20,000 patients with HCC in the United States in 2000, and the prevalence of HCC is expected to rise dramatically in the next decade. 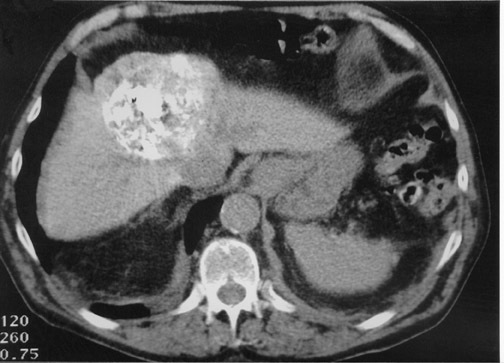 2 When untreated, HCC is uniformly fatal. Surgical resection provides HCC patients with the only hope of complete remission; however, few patients (15%) are candidates for surgery, and tumor recurrence after partial hepatectomy is notoriously high (70%). The mean survival for patients with unresectable HCC ranges from 3 to 6 months, so any techniques that prolong survival or improve quality of life are beneficial. Typically, HCC is unaffected by systemic chemotherapy (15% response rate), and it is associated with considerable side effects. 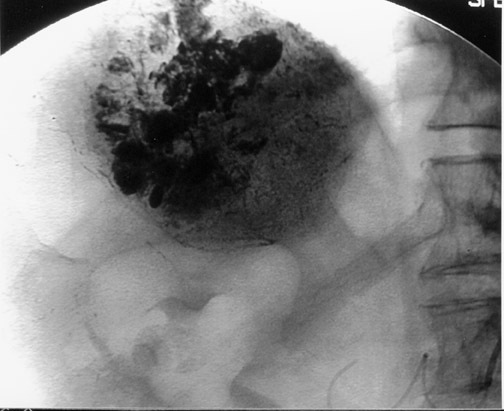 Consequently, several nonsurgical techniques have been developed by interventional radiologists to treat hepatic malignancies. 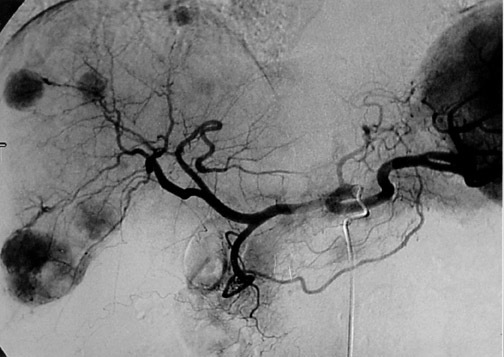 The key to chemoembolization is the blood supply to liver tumors from branches of the hepatic artery. While normal liver parenchyma derives >75% of its blood supply from the portal vein, hepatocellular tumors derive their blood supply nearly exclusively from the hepatic artery. 5 Based on this anatomy, an arterial approach to anti-tumor therapy is designed to spare the surrounding hepatic parenchyma, inducing selective tumor necrosis. Since the precise mechanism for achieving tumor response is not understood, and since the success of TACE might be assessed in multiple ways, several variations of TACE protocols have been used to combat HCC. No consensus exists as to what constitutes the most effective TACE technique. 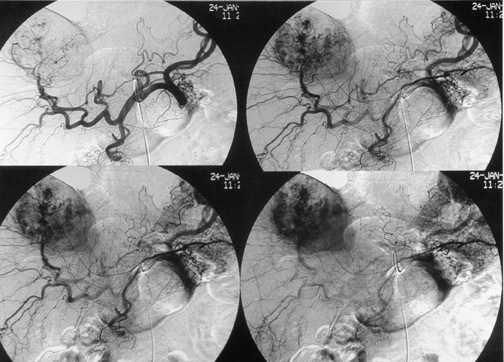 The term chemoembolization implies delivery of chemotherapeutic agents. Achieving high, localized concentrations of chemotherapeutic agents within a tumor is a main goal of TACE. The combination of highly concentrated chemo-therapy and some degree of ischemia within a tumor is likely to be synergistic in achieving a tumor response. The strategic advantage of embolization over systemic chemotherapy is the greater concentrations of anti-tumor agents within the tumor. It has been reported that the concentration of chemotherapy within tumor tissue can be up to 100 times higher following chemoembolization than following systemic chemotherapy. 6,7 Because arterial embolization reduces inflow to tumors, chemotherapeutic agents remain in contact with tumor cells for prolonged periods of time. Not only does reduced blood flow prevent washout of chemo-therapeutic agents, but tumor ischemia has been shown to cause failure of transmembrane pumps in tumor cells, 8 resulting in an even greater retention of chemo- therapeutic agents. Several types of chemotherapy have been used for TACE, and controversy persists regarding which drugs are most useful. The most common single chemo-therapeutic agent is doxorubicin. However, a recent study has suggested that cisplatin is more effective than doxo-rubicin as a single agent against HCC. 9 Many interventional radiologists choose to use a combination of chemotherapeutic agents in the belief that there is synergy between the different agents. The combination of cisplatin, doxorubicin, and mitomycin C is the most common combination drug regimen. In 1987, researchers found that poppyseed oil accumulates preferentially in HCC. 10 Since then, poppyseed oil (Ethiodol, Savage Laboratories, Melville, NY) has been the most widely used suspension medium for chemotherapeutic agents. Oil is a key ingredient to the chemoembolization procedure-it serves three purposes: it is drug carrying and tumor seeking, and it is an embolic agent (occluding vessels in the 30-mm range). Another objective of TACE is to selectively target tumor cells while sparing as much functional liver tissue as possible. 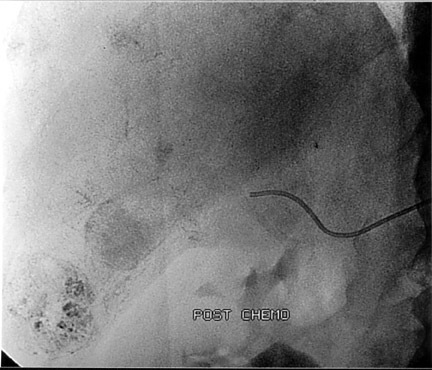 The issue of how selectively the catheter should be placed (lobar or segmental) during chemoembolization remains somewhat controversial, and a variety of techniques have been used to target tumors. In the case of multiple tumors in a single lobe, a less selective approach is preferred (Figure 1), whereas a single lesion may allow super-selective positioning of the catheter (Figure 2). Assessing the efficacy of TACE is difficult, as evidenced by the multiple factors that have been cited by different authors as measures of success. These factors include patient survival, imaging response (size reduction, fraction of tumor necrosis, lipiodol retention rate), quality of life, and symptomatic improvement. Given the short life expectancy of patients with HCC, the most relevant of these measures of success is patient survival. However, patient survival is also the most controversial of these factors. Early on, several well-designed case-control and retrospective studies demonstrated a benefit of TACE on patient survival when comparing treated patients with untreated or historical controls. Patients with small tumors have reported survival rates as high as 100% at 1 year and 53% at 5 years. 20 Patients with large tumors (>50% of the liver) have also shown benefit from TACE. One case-control trial reported 59% survival at 1 year among patients treated with TACE compared with 0% in untreated controls. 21,22 The best nonrandomized trial of TACE studied 254 patients who were stratified by Child-Pugh and Okuda staging. 23 In this trial, patients treated with TACE survived significantly longer than did untreated controls. Survival rates in treated patients were 64%, 38%, 27%, and 27% at 1, 2, 3, and 4 years, respectively, as compared with 18%, 6%, and 5% at 1, 2, and 3 years, respectively, among patients treated with the best supportive care possible. The most publicized RCT of TACE was published in The New England Journal of Medicine in 1995. 13 This study was conducted by a consortium of French researchers who enrolled 96 patients at 24 medical centers. The large number of centers led to inconsistency in technique. Patients in the control group had an unusually high survival rate (43% at 1 year), which might be explained by the high proportion of patients with alco-hol-induced cirrhosis (73%). Furthermore, a high rate of liver failure was observed in the treatment group, which might be partially explained by the mandatory 4 cycles of chemoembolization, regardless of clinical symptomatology and tumor response. A recent meta-analysis has demonstrated that 4 of the 6 RCTs comparing TACE with untreated controls failed to show any impact of TACE on patient survival. 32 Yet, each of these 4 RCTs was plagued by procedural variability and serious flaws in trial design, which severely discredit the results of these trials. More recently, two well-designed randomized trials have shown a positive impact of chemoembolization on survival. An RCT by Lo et al 31 randomized patients to either chemoembolization (lipiodol, cisplatin, and gelfoam) or supportive care. Patient survival was found to be 57%, 31%, and 26% in the chemoembolization group, versus 32%, 11%, and 3% at 1, 2, and 3 years, respectively, in the supportive care group. A second RCT by Llovet et al 4 randomized 112 patients in Spain to TAE, TACE, or supportive care. This trial was stopped early, since TACE and TAE demonstrated a clear survival benefit, yielding 1- and 2-year survival rates of 82% and 63% for TACE, versus 63% and 27% for controls. 4 There is remarkable consistency in the results of these two trials despite differences in their patient populations (Asian patients with hepatitis B versus European patients with hepatitis C, respectively). Despite a series of randomized trials that have not shown increased survival, recent RCTs convincingly demonstrate that chemoembolization improves patient survival. Chemoembolization has become the mainstay of treatment for patients with unresectable HCC. 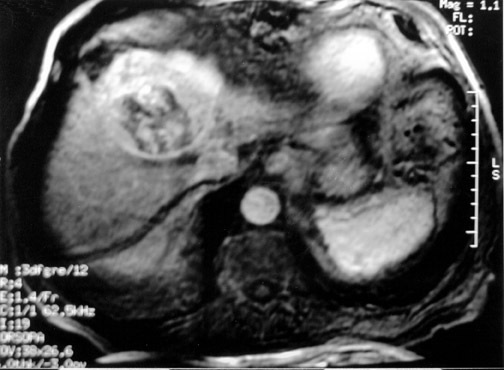 While TACE is not a cure for HCC, it is an effective therapy that merits further study. Chemoembolization of unresectable hepatocellular carcinoma: A review. Appl Radiol.